Retirement property for sale across the UK. Find retirement houses and flats for sale. 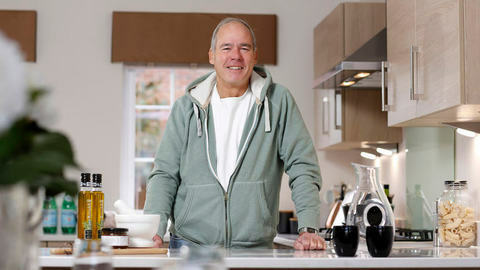 We have a wide range of new build retirement properties from top UK developers. Will I have to eat in the restaurant every day? Using the restaurant is not mandatory, but it is open for lunch every day, including all bank holidays and weekends. All homes have their own kitchen facilities. Is there a minimum or maximum age to buy a retirement living apartment? Yes, the lease of each apartment states that you may not live in a retirement living apartment if you are under the age limit. That limit varies according to whether you purchase an apartment for sole or joint occupancy. You will usually need to be at least 60 if you are buying as a single person. There is no upper limit, though all purchasers must be able to live independently as retirement living is intended for people who require minimal assistance. I need frequent attention. 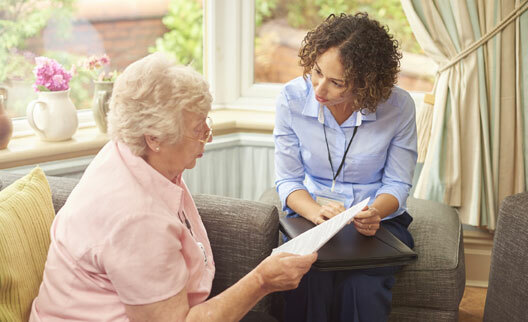 Is Extra care suitable for my needs? Extra care is designed for buyers who have greater needs for domestic and/or medical assistance. If you are interested in this type of development it, the sales team for the developer will be able to discuss your requirements and advise you of the different types of assistance available at that development. 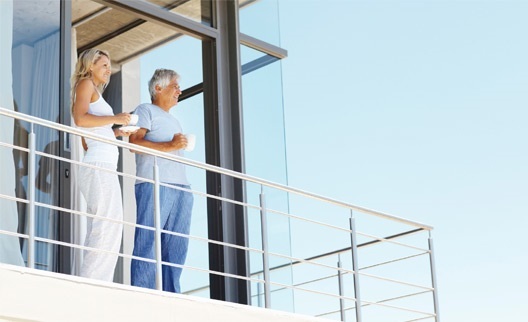 Want to know more about retirement properties? Discover how you can benefit with our comprehensive guide. 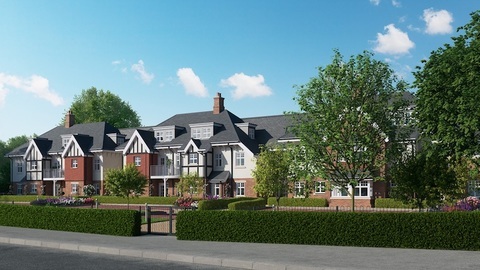 What are the benefits of purpose-built new build retirement homes? Older homes are often in need of maintenance and repairs, too large for your needs, and expensive to heat. If you purchase a new build retirement home, you can move straight in with the confidence of knowing that everything is new and you will not have to spend time or money on repairs. Older homes often cost a lot to heat, and are not energy efficient. New build retirement homes are built to be energy efficient, so not only will you avoid excessive bills but your new home will also be cosy - something that is particularly important for older people. Avoiding isolation is vital if older people are to remain fit and well. Moving into a retirement development ensures that the companionship of other retired people is available, and encourages residents to keep up with hobbies and activities. Many retired people live in a family home that is too large for their current needs, and difficult to maintain. Buying a purpose-built new build allows them to downsize to a more modern home that is better suited to their current situation, will be cheaper to run, and far easier to maintain than their old home. What are the costs involved with different types of development? It is difficult to estimate typical service charges for each type of development. Such costs vary according to the individual development and the facilities offered there. They may also change if the costs of providing services rise. You should ensure that you are well aware of the service charges before committing yourself to a purchase on any retirement development. It pays to shop around and compare costs among the different developers providing retirement homes. However, it is clear that service charges will rise according to the level of care offered by a development. So an age-exclusive development, aimed at people requiring least assistance, will be the cheapest, and an extra care facility, which provides the greatest level of care, will be most expensive. All charges will be clearly laid out, so before you decide to purchase you should factor the service charge into your living costs and consider your overall expenses. Costs also vary according to region. The same type of development will be much more expensive in London than in other regions further away from the South East. There may also be differences between different facilities at the same level, with some being more luxurious than others. Service charges will be higher for luxury age-assisted developments compared to other more economical facilities. Who are the major players in retirement-age homes? Churchill Retirement Living was founded 22 years ago, and now focuses on exclusively building retirement homes. 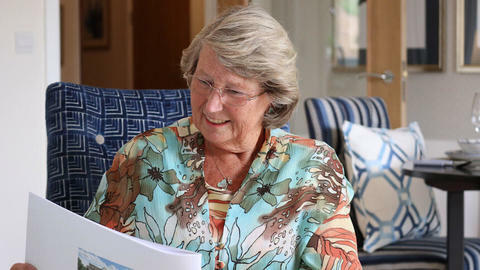 The company offers one- and two-bedroom purpose-built retirement apartments, with the peace of mind of the support services that allow them to live independently. McCarthy & Stone/Ortus is by far the major provider of retirement homes in the UK. They offer well-designed homes that enable residents to enjoy comfortable, active lives. The Ortus brand focuses on luxury, age-exclusive developments. 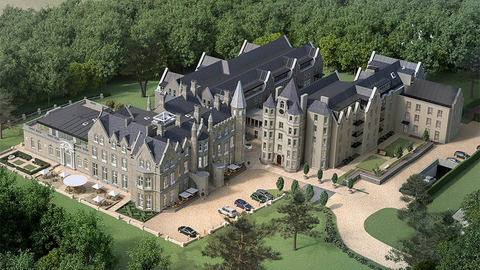 Audley Retirement Villages, previously the well-known Beaumont company, now concentrates on developing luxury retirement villages. They have received numerous WhatHouse? Awards, as well as being recognised by the Sunday Times British Homes Awards. Audley manages all of their developments, allowing them to offer a unique level of customer care. Renaissance Villages provides premium cottage-style homes with facilities typical of a country club. 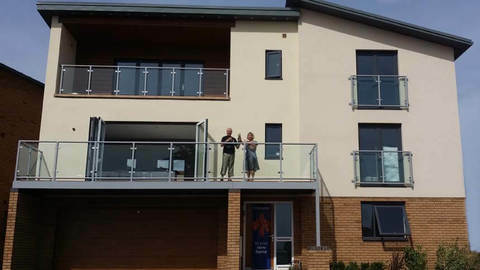 One of its developments in West Sussex won Best Retirement Development at the 2015 WhatHouse? Awards. The company offers its residents comfort and security with the support of an experienced management team. Retirement Villages Group offers purpose-built retirement housing facilities, based on the retirement communities typical in the United States. They usually offer a wide variety of leisure facilities, and even golf courses. The company aims to provide high-quality retirement homes and services in a supportive environment. What are the practicalities of buying a new build retirement home? This can often be made easier when the developer accepts your own home in part exchange, removing the need to be part of a chain and wait for your buyer to sell their own home. However, there will invariably be conditions on a part exchange scheme, and you may find that your home does not qualify (for example, the property must be in good condition and viewed as mortgageable). Some developers also offer a packing and removals service to make the process even more comfortable. There will be no upper chain when you buy a new build, so you can move straight in without waiting for the seller to move out (as long as you are not waiting to sell your own property). Your new property will also be in immaculate condition, with no need for repairs or decorating. It is important to ensure that you are fully aware of the service charges and that you factor that in when calculating your living costs in your new home. The convenience factor of having the facilities on offer will naturally incur a cost. What happens when the property needs to be sold? 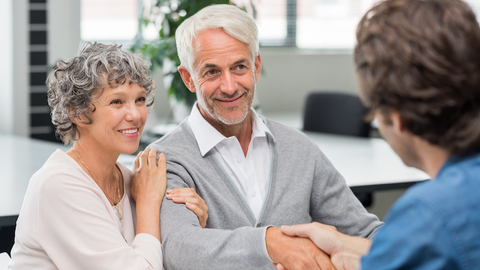 At some point, you may decide that you want to sell your retirement property, for example if the facility no longer suits your needs. You should be aware that this can be more complicated than selling another type of home. They can be more difficult to sell, and you may find that you are unable to get the price that you paid for your home, as this type of housing depreciates quickly. It is often best to see it as an investment in your lifestyle and peace of mind, rather than a financial investment. Another reason why it can be slow to sell retirement properties is that you are selling to a limited market. You may also be required to pay a transfer fee to the company that owns the freehold, or sell through them rather than through another agent - and this is likely to be more expensive. This transfer fee can be as little as 1%, but can also be a lot higher. So it is essential to understand what these costs will be before signing on the dotted line. Bear in mind also that should the apartment need to be sold after your death, service charges will still have to be paid until the home is sold. These costs will mount up considerably if it takes a long time to sell, and service charges in some developments can be thousands of pounds per year. 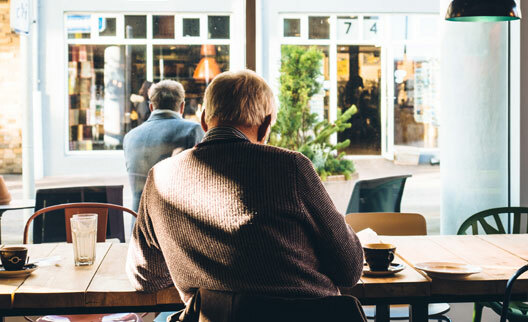 How does the service charge work on retirement properties? The service charge is usually reviewed annually and may be increased if the costs of providing services has gone up. You will be advised of the increase and may also be able to attend a meeting with management. 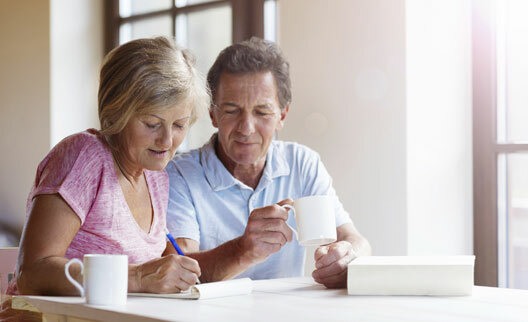 Before committing to the purchase of a retirement property, you should examine your finances carefully and be sure that your income will be sufficient to cover all your needs, including utilities and the service charge. Do remember that although the service charge may seem high, there is a lot included and you will no longer have to pay for many of the maintenance costs that you had to pay on your old home. If you want to sell, the service charge will still have to be paid until the property is sold. There are no exceptions should the property need to be sold after your death; the service charge will need to be paid even though you are not using the facilities. This is out of fairness to other residents, as otherwise their service charge would need to be increased. Buying a Retirement Home – What Are Your Mortgage Options?